"If someone hurt someone you love, how far would you go to get revenge?" 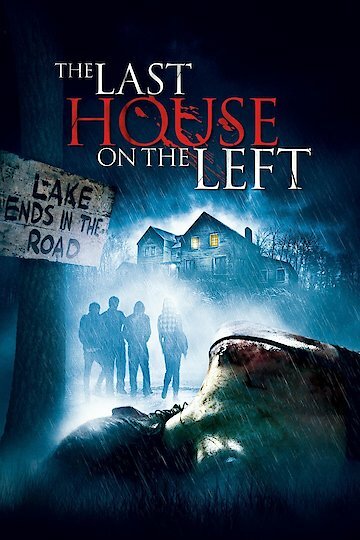 The Last House on the Left is a thriller/suspense movie that got its debut in 2009. This movie tells of a story of a mother and father who take matters in their own hands, and seek revenge. The parents of a teenage daughter whose names are Glodwyn, and Potter, find out that the people who are staying in their guest house for the night have shot and left their daughter for dead. The father, who plays a doctor in this movie owns a big house and has a lot of money. In the beginning of The Last House on the Left the doctor's daughter and her friends are essentially held captive, tortured, raped, shot, blackmailed, and left for dead. When the bad guys think they have killed everyone, they then take a step forward and plan to go to the doctor's house and wait for the opportune time to rob and kill the girl's parents. During that night, the group of bad guys are at the guest house, and the mother and father discover clues, and eventually their daughter, scratching at the door. They find their daughter's bloody body. Since the father's a doctor, he tries to get the bullets out of her to save her life. The family lives isolated from any neighbors, so help is hard to find. The parents have to plan a route of escape to elude the killers, and find twists and turns in doing so. The parents have to hide the daughter from the killers so they won't catch on, but the parents have to start killing the bad guys in order to survive themselves. This movie depicts the unwavering love that parents have for their children and how far a parent will go to protect thier child in any extreme circumstance. The Last House on the Left had mixed reviews from viewers and critics alike. The Last House on the Left is currently available to watch and stream, download, buy on demand at Amazon Prime, Starz, Amazon, Vudu, Google Play, FandangoNow, iTunes, YouTube VOD online.